Egreat A5 is one of the newest Mini PC that we had the pleasure of testing recently - you can read about the unboxing here. Just in case you didn't had the chance to read that article or our initial announcement for the Egreat A5 Mini PC, this one might be a winner - comes with one of the best chipsets currently available, and it promises good image quality and very good file format support with 4K UHD with HDR, BluRay (with menu! 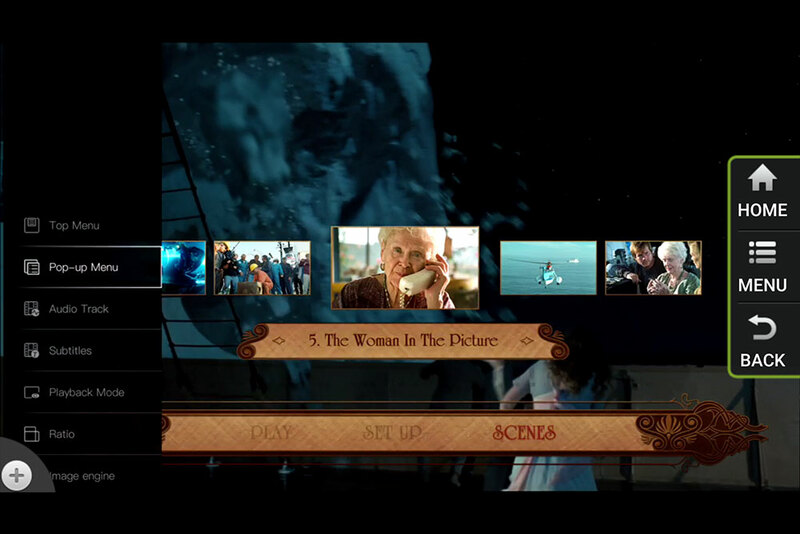 ), movie-poster and cover-art auto-download, Dolby True-HD/Atoms and DTS-HD MA/DTS X passthrough, HDR10 and Dolby Vision...and the list goes on. Fact is, the Egreat A5 mini PC looks very impressive both on paper and hardware-wise, let's see if the software is as good as the rest. The review started a bit slow, as the initial firmware had it's issues - but Egreat and VidOn did work quite a bit over the last two months, with roughly an update every 10 days, and things are much better now, although there are still minor annoyances. 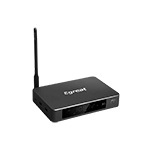 Setting up the Egreat A5 device is a breeze - you only need to connect it's power adapter to power it on and the HDMI cable to the TV or monitor. One thing I didn't expect was the backlit logo: when you power the device on the large Egreat logo on top lights up (iPhone-like) - and looks cool, but might get annoying after a while. Of course, you can cover it with something if it bothers you. Another interesting thing, which might or not be intentional: when powered off the logo blinks for under a second every 20 seconds or so ... which also caught me off-guard. The front LED dot-matrix panel looks interesting also and contributes to the overall "premium" look Egreat intended to achieve. Booting time is reasonable, but maybe a bit more than I expected (based on another Hi3798C V200 device I've tested), probably there are more apps that run in the background. 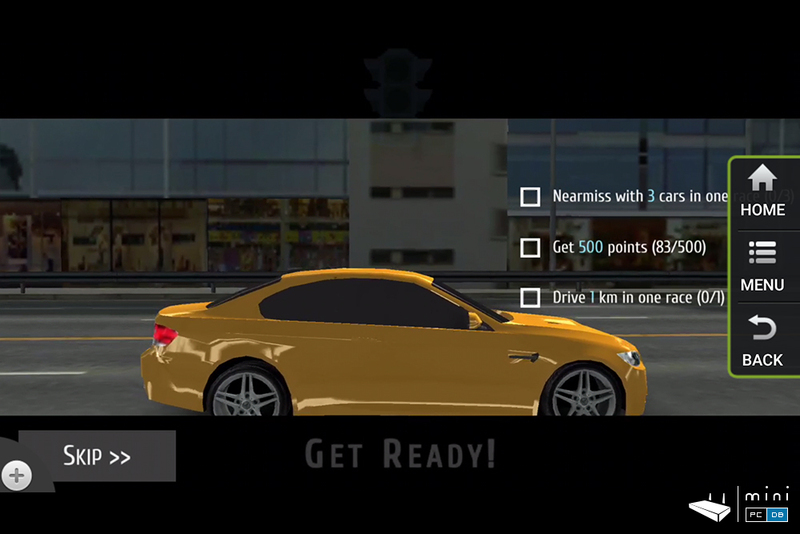 The UI is 1080P, which in itself is an improvement from most devices currently on the market. 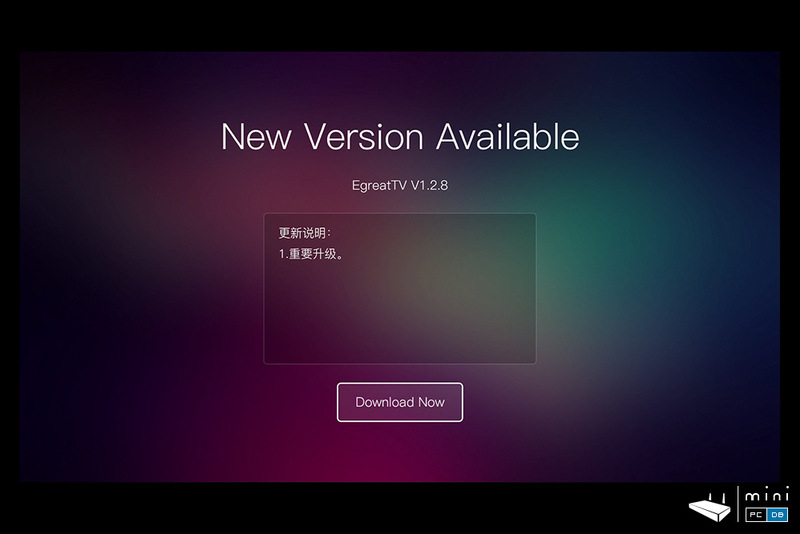 Currently there's only English and Chinese, but Egreat are working on translating the UI on several other languages. 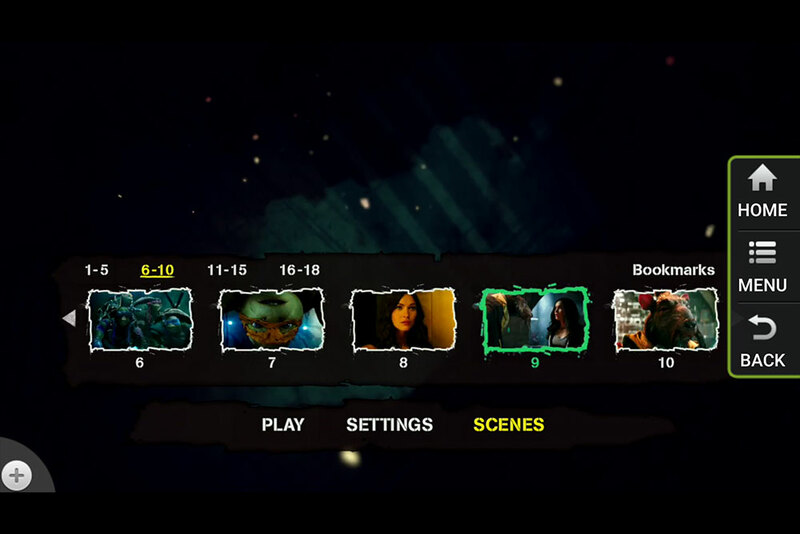 Egreat managed to keep the "media player" look on the UI, with a simple menu that goes well with the IR remote. Of course, if you don't like the launcher, you can always change it, but give it a chance, it might grow on you. 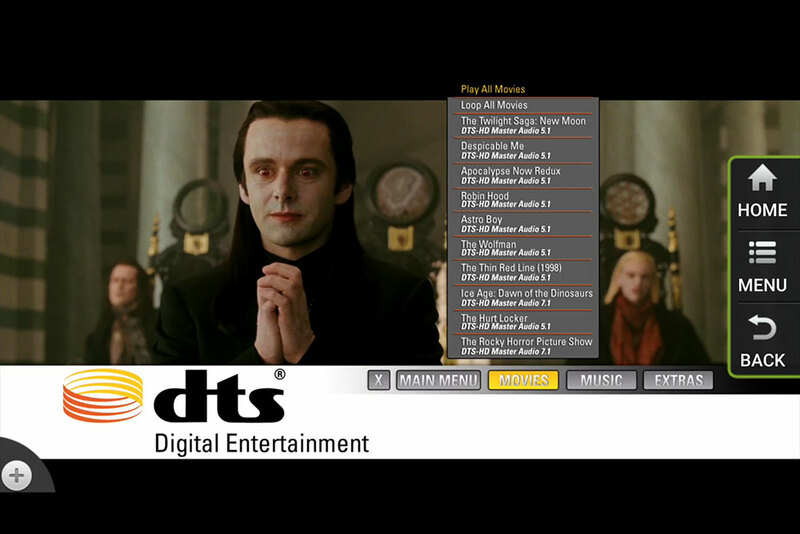 The UI has a main row of big icons (Video, Music, All files, Settings), exactly as old Egreat Media player devices used to have. 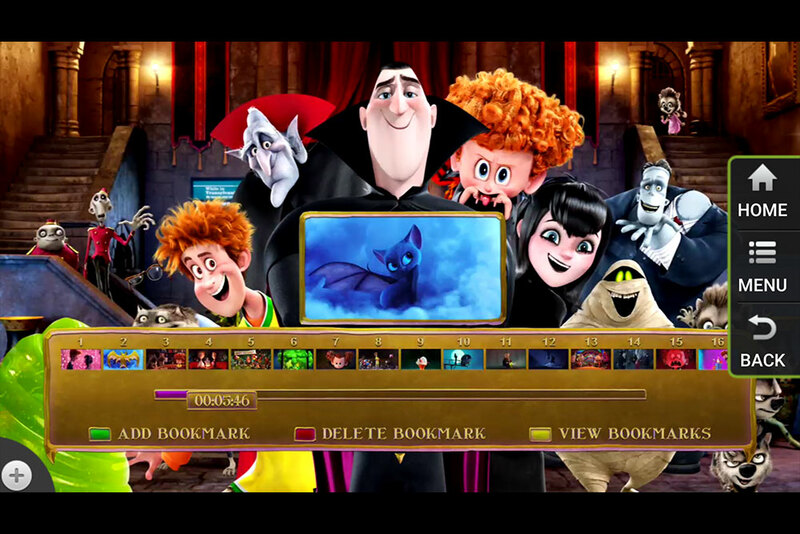 Clicking the arrow reveals a second row of smaller icons with VidOn XBMC, My Apps, App cleaner, App store and a place for your own apps. The App cleaner is actually a good looking app, with several other functions. The English language there might be a bit butchered - but hey, I'm not to judge, English is not my mother language also and I'm pretty sure this very article has some mistakes that might make some of you smile. 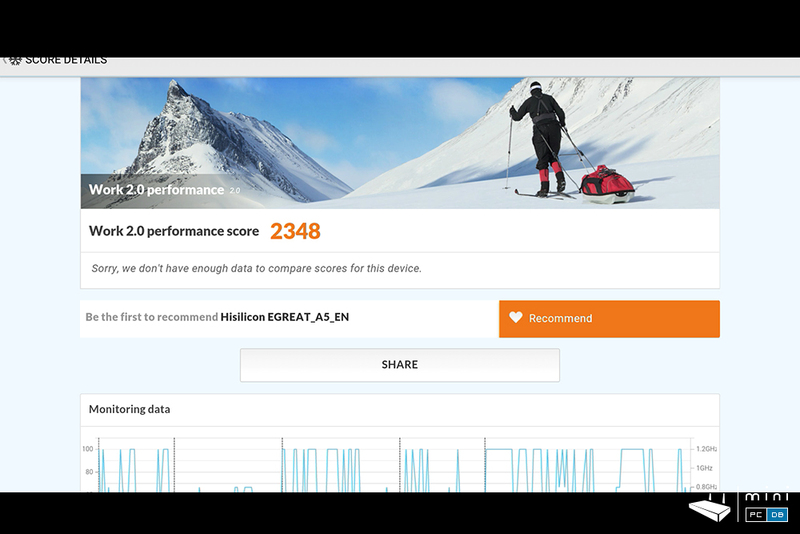 But the app does look interesting - there are a few network tools (built-in speed test and optimization, traffic monitoring, DNS optimization, etc). The App store is not Google PlayStore as I expected, but a custom one with some interesting apps aimed at gaming and internet content you would want to watch on TV (live TV, videos, radio, you name it). 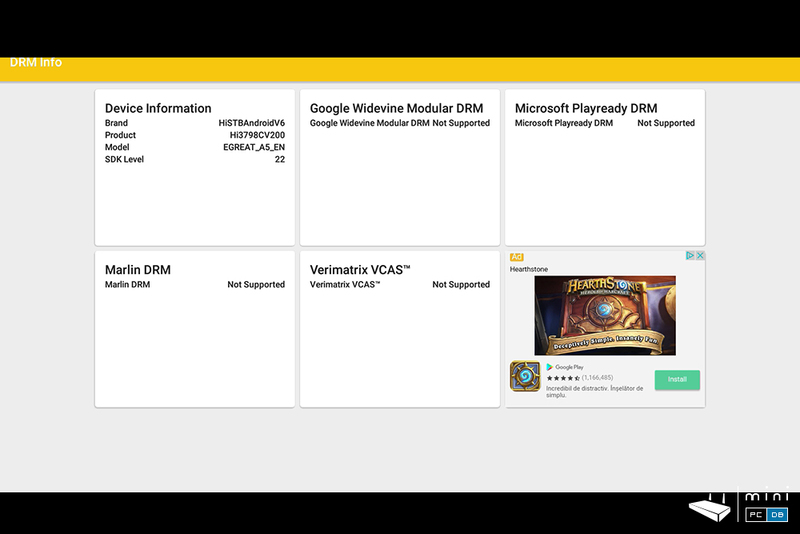 In fact, Google services are not installed at all, which surprised me. Maybe this will be added in a future upgrade. 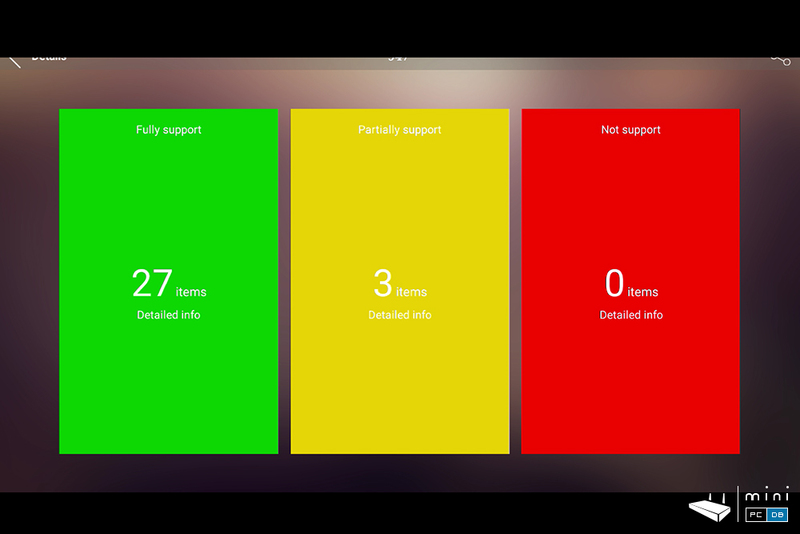 Until then, you can install it manually, we'll cover this later. Update - with the current firmware this is no longer an issue - Egreat fixed this very fast. 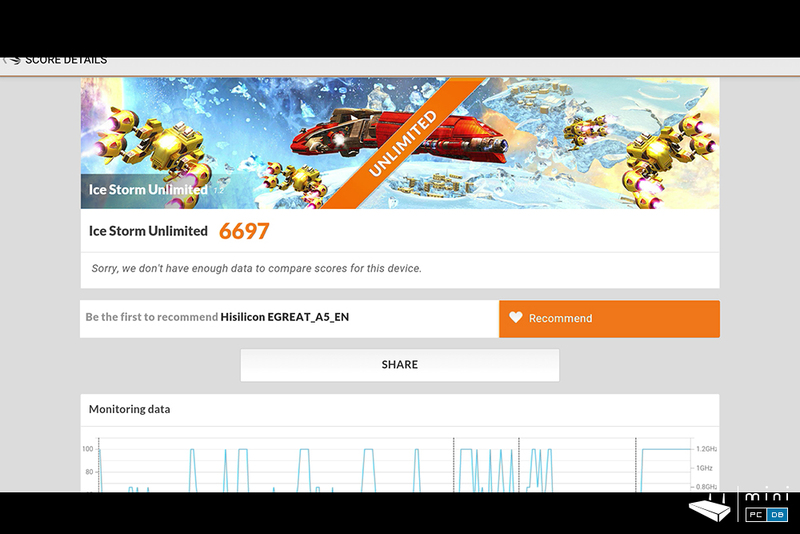 During the tests Egreat released several new firmware versions, which is normal for a new device and also means that they plan to offer support for their A5 and A10 models. While there is an option for automated OTA updates (you are even notified via a popup that a new FW version is available), updates are currently handled using the "standard" procedure - with a FAT32-formatted USB stick. Basically you need to download the firmware archive, uncompress it so you get four files (update.zip/recovery.img/fastboot.bin/bootargs.bin), files that need to be copied on the root of the said USB stick. With the device powered off, connect the USB stick to the first USB port on the left and use a toothpick to press the reset pinhole (found on the back, next to DC-In adapter). While maintaining the pinhole pressed, you power the device on and wait for the "Android is updating" logo to appear on the screen. 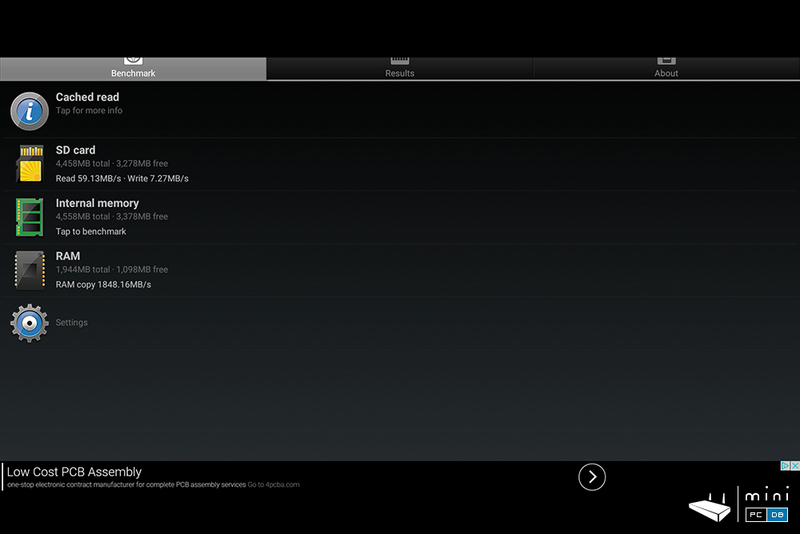 Smaller updates (like the one needed to install Google Play services) can be also done using the update menu. As with most Android TV boxes we test here, Egreat A5 comes with an IR remote, which also has four programmable buttons that can be used to control other devices (yes, most likely you'll want to control the TV). The remote is almost identical to the remote we received with another 2016 flagship, the Zidoo X9S - which is interesting. The remote has a good range, the programmable buttons are a nice touch, there's even a "mouse" mode - but no matter how patient you are, you will still want an airmouse with your Egreat A5. Initially I used it with an airmouse, but then I thought about the excellent HiControl app that I used whgen reviewing the Himedia Q10 Pro Mini PC ... and it worked! I'm not exactly sure why this works - maybe the app comes from HiSilicon, or maybe there's another explanation. But the HiControl app is something I enjoyed : basically you get to control your Egreat A5 device much easier - you can choose between the mouse mode, a virtual remote with large keys, an app manager (you see what apps are installed on A5 and can launch an app from the smartphone). 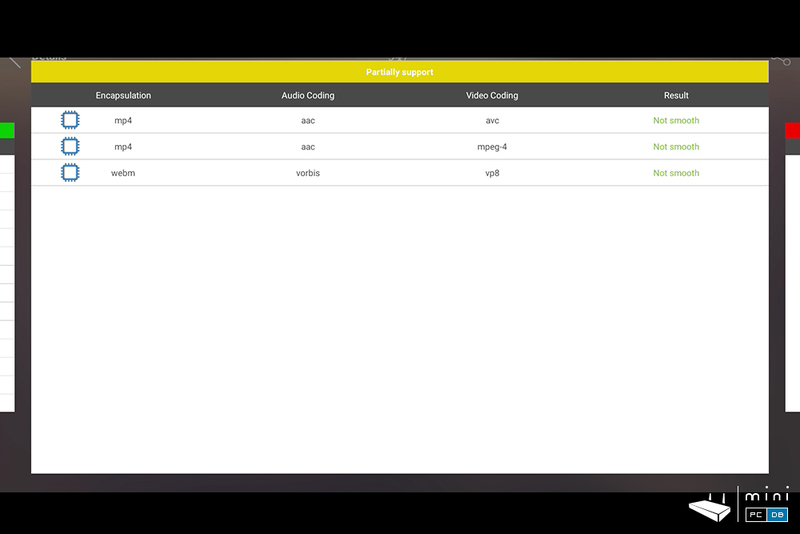 The settings allow both video and audio passthrough (from A5 to phone), so you can keep an eye on what's running on the device/TV from another room, very useful if you have kids, you can remotely start to play their favorite cartoons. In fact the device could be easily adapted to be a good digital signage - it can be connected to a TV or monitor and run ads all day. It's a shame that there's no way to connect to a device from the internet (the smartphone/tablet must be on the same network), but maybe someone can find a way around that (maybe VPN?). 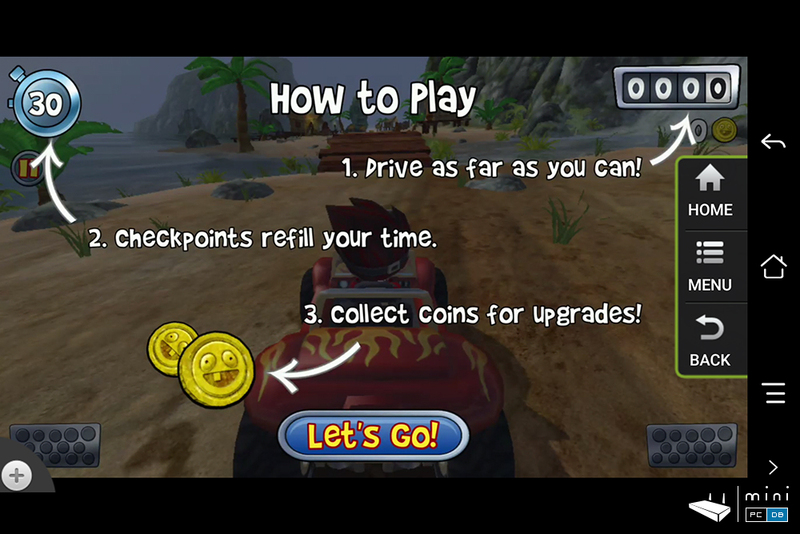 Alright, enough ranting about the HiControl app on Egreat A5 - just one last thing: the phone/tablet's gyro senso can also be used in games, so you can play Beach Buggy with your smartphone, through the A5, on the big screen. 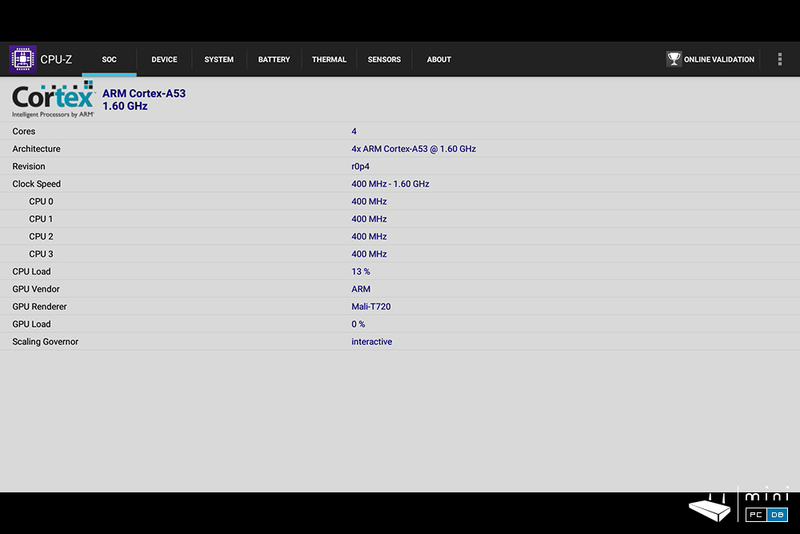 Here are some benchmarks for the Egreat A5 mini PC. Egreat is best known for their media players (devices that are now extinct) and it's not a surprise to anyone that they worked on the A5 (and A10) from a media player perspective. And Egreat A5 does impress in this area - not just by "on-paper" capabilities, which we talked about already several times, but in actual tests. 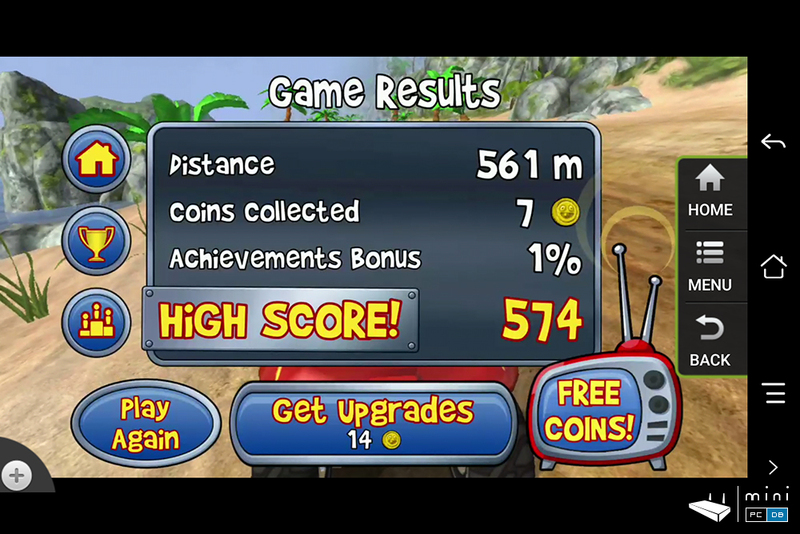 I was able play pretty much any file with the A5 and after several days I have to say that I'm impressed. 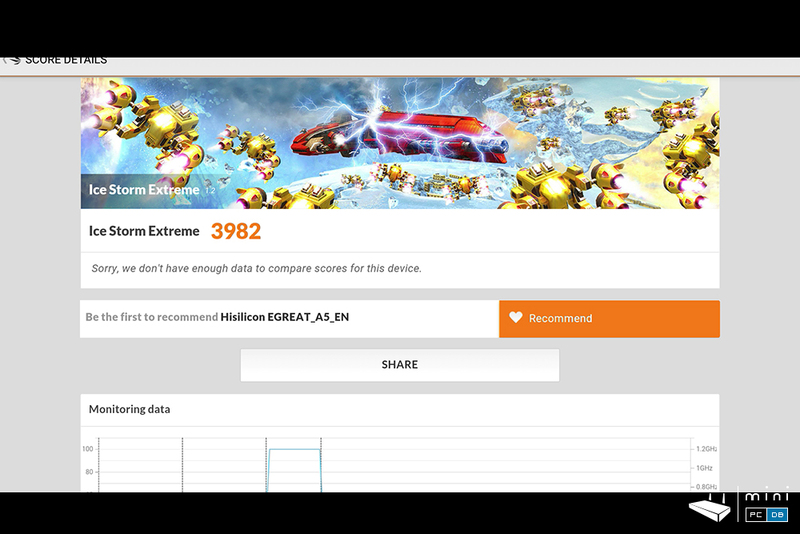 Egreat A5 is not the first Android device launched by Egreat after their media players(remember Egreat A9 or Egreat R6S-II? ), but it's certainly the best. Of course, part of this success is from VidOn's work and another big part is based on HiSilicon's good hardware and software implementation. There are some things worth noticing though : you have to choose the file source wisely (which is as simple as not trying to render a BD file through wi-fi) and in some cases you need to switch between the HiSilicon and VidOn players. 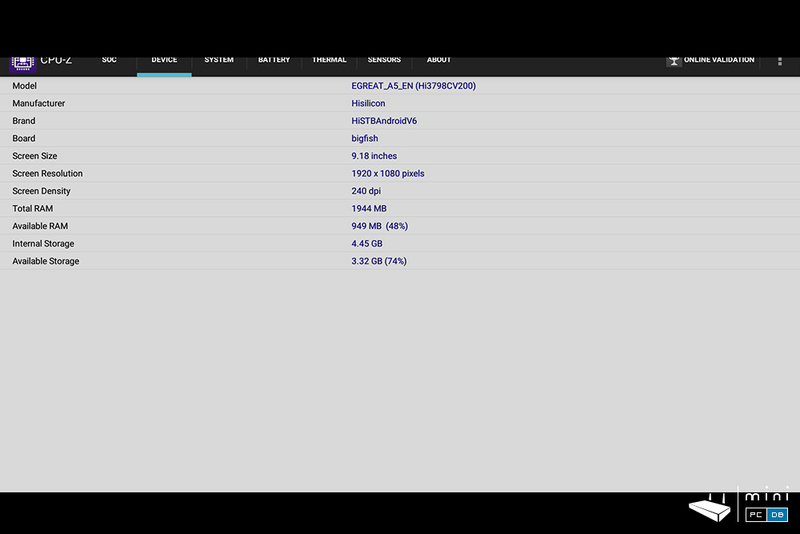 Kodi is also usable for the most part but the results are not as good as with the dedicated players. 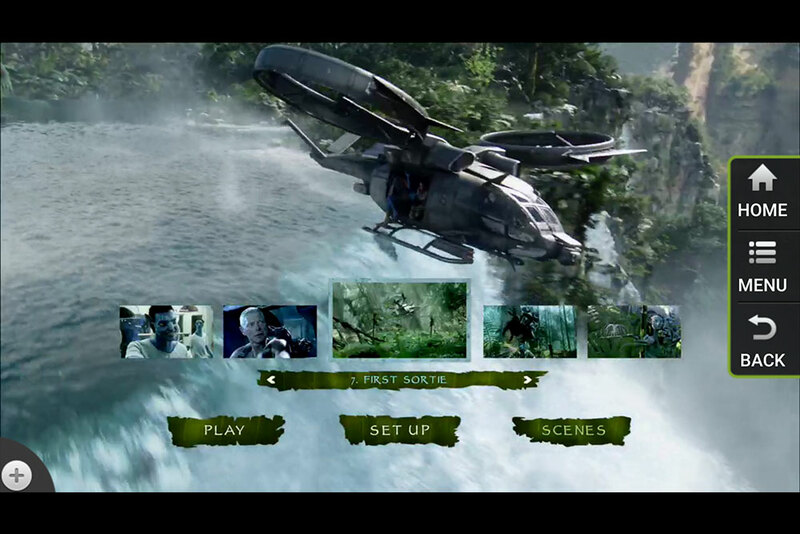 The BD and DVD full menu works as expected - you can see below some screenshots shamelessly borrowed from the Romanian Softpedia forum where there's an active topic about this device and there are even some DIY/custom FW details. 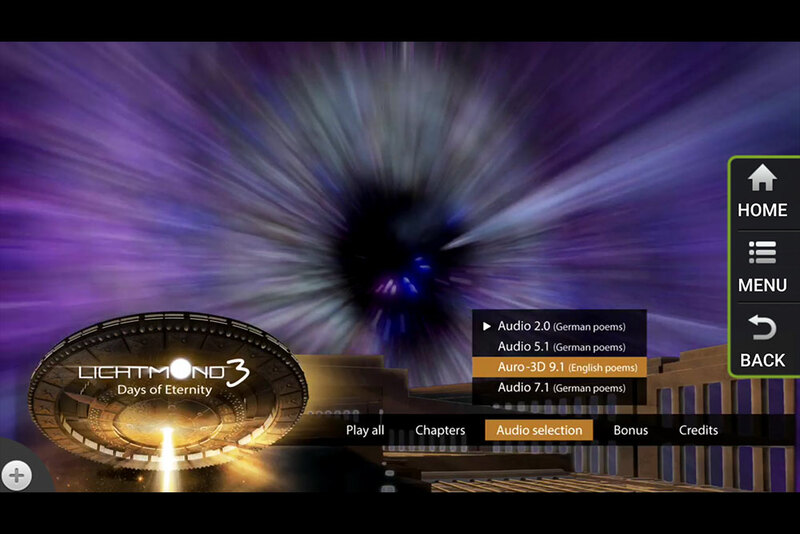 There are are also advanced media center functions (cover art/posters) which come in very handy. 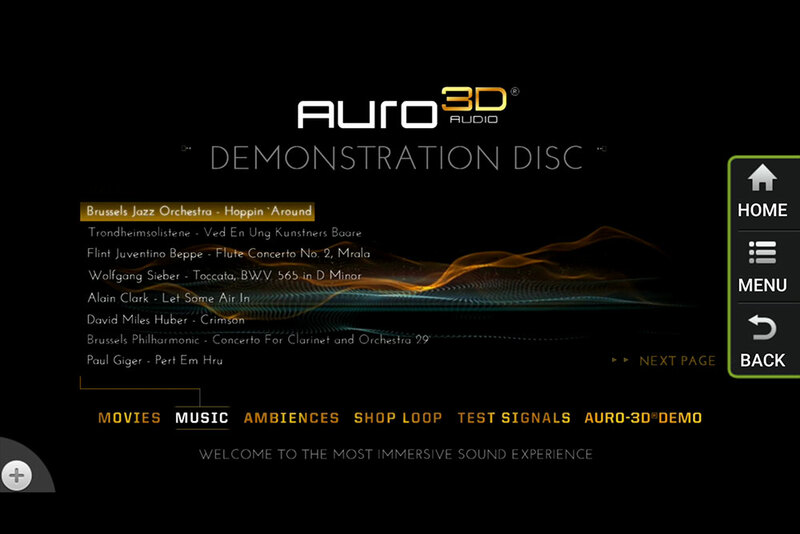 So A5 is perfect for enjoying high quality movies and it's sound passthrough options are stellar - just what a movie enthusiast needs in his (or hers) home. 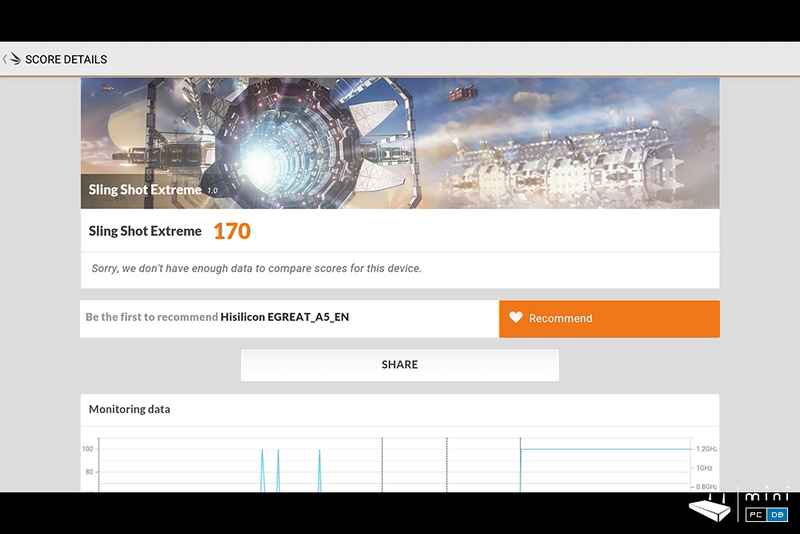 Thanks to the excellent HiControl app the Egreat A5 is much more useful as a light gaming device than most other Android TV boxes from the market. This is thanks to the fact that HiControl let's you use the phone's gyro sensor in games, so you can play games that you would normally just be able to play on a tablet or smartphone. 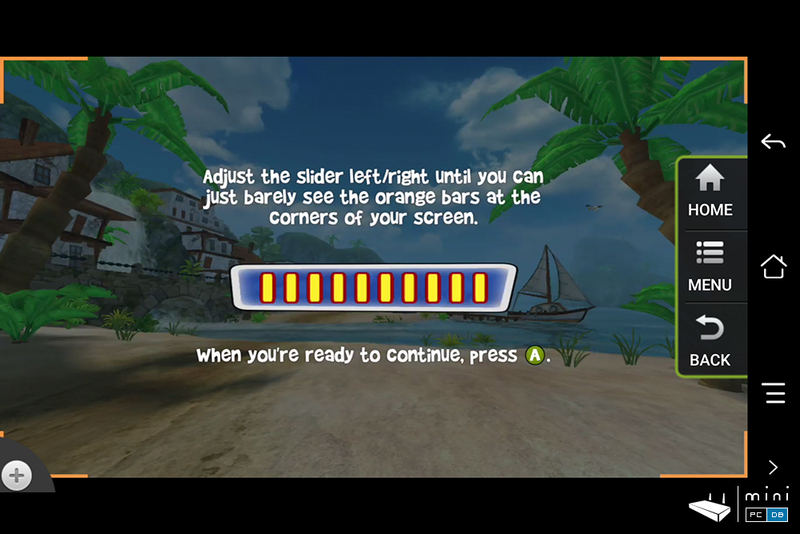 I've started with Beach Buggy Racing, but the game did not work - although it installed correctly, I couldn't get past the screen calibration - the game kept asking me to press "A" and didn't work with my keyboard - but that's not a problem related to the device itself. So I looked for other games and got good results. Egreat A5 attempts to bring media players to the Android world and for the most part it manages to do so, as the device is one of best TV boxes I've tested when it comes to home entertainment. It comes with a proper SoC for this, very capable hardware overall - even after most CPU-intensive tasks the chassis was barely warm, which is impressive for a passively cooled device. 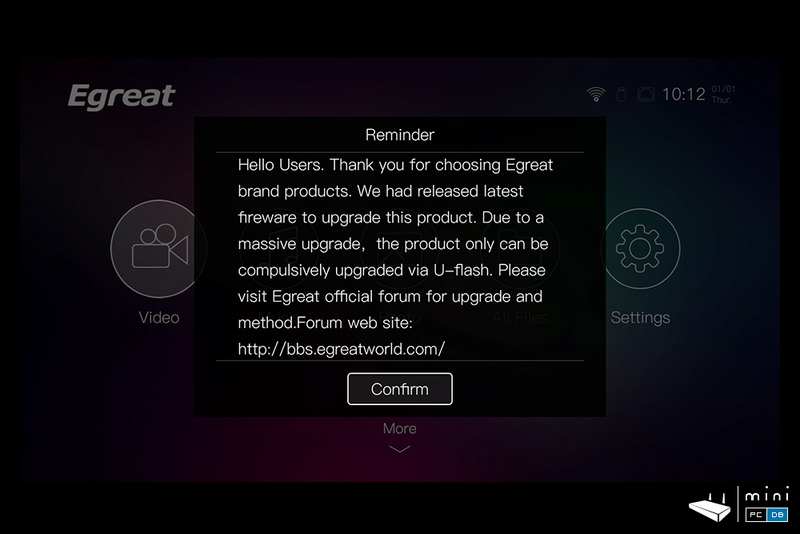 Overall I am impressed with the Egreat device, with minor annoyances that hopefully will be fixed over time, as Egreat (and VidOn) promised to continue to deliver firmware updates that will improve things and maybe remove some of the Chinese-oriented apps to make it even more appealing to European markets. So far the firmware support has been unexpectedly good, with constant releases (I had to upgrade it several times during the review). Would I recommend it? If you have the budget, yes, go ahead - there aren't many devices out there with these specs (and results). Don't forget about the coupon code if you plan to buy it from GeekBuying - use coupon code PUCNMXCE to get $70 off. 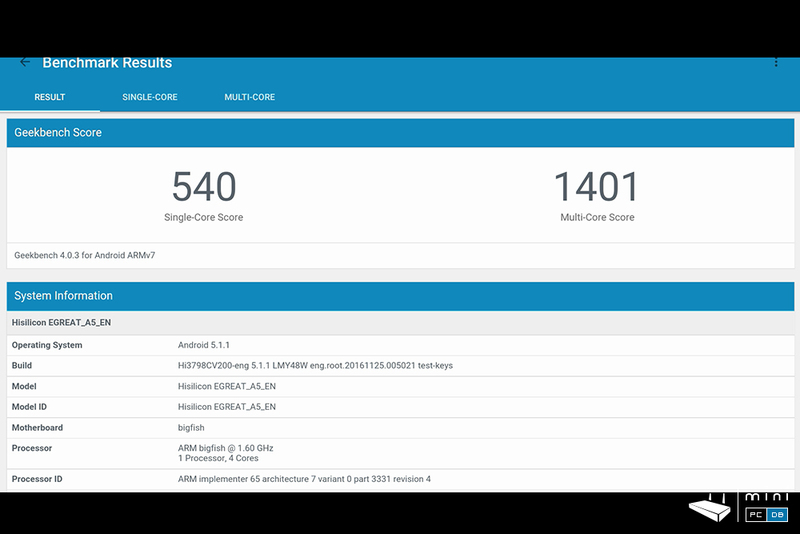 HiSilicon is working on an Android 7.0 update - which is very unusual in the TV box world, (virtually none of the devices we tested before got an upgrade to a new Android version), so the device might have a bit more to offer in the future as well. And as long as VidOn keep working on their player app, the device will get better and better.